One of the most sought after desires or goals in the home landscape design, is privacy. Green screens, privacy fences, and the like have become very popular over the last number of years. How to achieve it, at a minimal cost, and in the shortest time possible, are key questions asked. Building a fence or wall can work, at least to some extent. They can be quickly built, but the costs can be prohibitive, and there may be a limitation as to the effective height. The living fence can be that alternative. 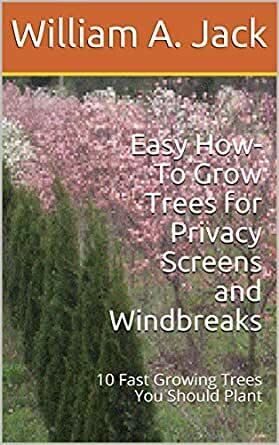 Planting trees for windbreaks and screens is actually easy, and there are some suggestions as to which trees to use. In this guide, we firstly talk about Screens, the basics. 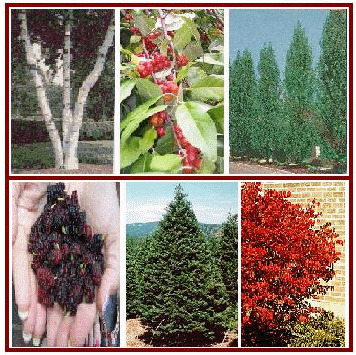 Then, we talk about trees and notes on several that we think are more applicable and reasonably available. The last section is some of the how-to information most useful for any tree or shrub-planting project, whether for screens, commercial uses, or for the home and garden landscape.